Just as the name indicates, these fruits are used mainly to raise the wine and that since time immemorial. Wine produced such ancient peoples as the Phoenicians, Assyrians, Somici, Hittites, Babylonians and Egyptians, and the Greeks and Romans even had a special wine of the gods. For these countries, the vines quickly spread to neighboring lands everywhere gaining popularity. With time, however, in areas less suitable for the cultivation of vines, ie. In the north and east of Europe outweighed the impact of the locally produced vodka and beer, and it stuck. Grapes contain a lot of glucose, which penetrates directly into the blood, thus strengthening work on the body and help quickly regenerate, have a positive effect on the circulatory and vascular system. 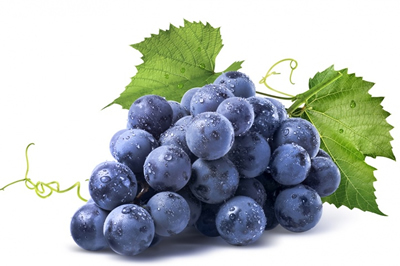 Grapes, a few fruits contain iodine, important for the functioning of the thyroid gland. Grapes tend to be dark blue, dark red, greenish-yellow, yellow and green, and all are characterized by excellent taste and pleasant aroma. Fruit with a variety of peach. It requires a mild climate for growing, so it is rarely grown in Poland. Nectarine usually eaten raw. They can be added to desserts such as fruit salads, ice creams, sorbets, puddings. Increasingly, they are used for the production of jams, compotes, liqueurs and jellies. 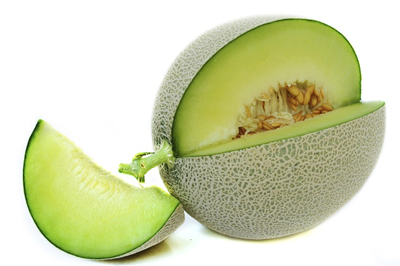 Melon is a fruit coming from Africa and Asia. You can have many variations. To be the most popular and tastiest honey melon. Melon mainly eaten raw. In addition, it gets him purees, jams, sorbets and ice creams. Some species are suitable for pickles and as an additive for drinks. 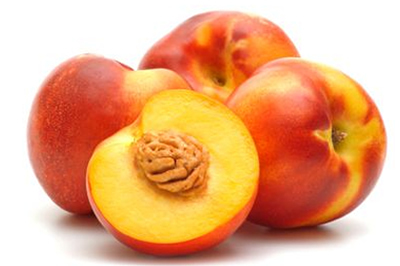 Peaches are fruits from China. They belong to the family Rosaceae. They grow on trees or shrubs in a sunny spot. 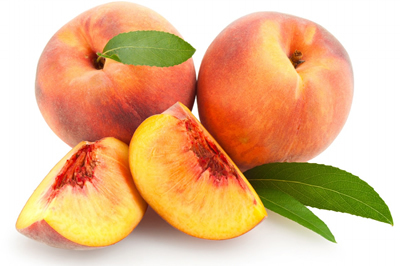 Peaches can be eaten raw, added to salads and prepare them desserts or decorative plugs. Fruit is processed also stewed fruit, juices, nectars, syrups, jams, preserves, marmalades and poured them syrup. Great blend of dairy products such as milk, cheese, buttermilk and yogurt. With apricot kernel produces a rare oil with the scent of almond. 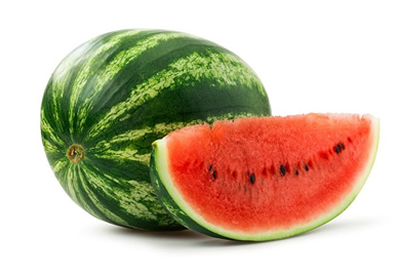 Watermelon belongs to the plant family Cucurbitaceae. It comes from South Africa. Currently it is grown almost all over Europe. His frost-resistant varieties are grown in Poland. Most often it is eaten raw. In the summer can be a component of fruit salads. Slices of watermelon are also used to decorate cakes and cakes. Great satisfy thirst. Mixed pulp can be used to sorbets, beverages and drinks. Pineapple is a fruit perennials pineapple sativa. Fruits weighing approx. 1kg resemble a large pine cone. 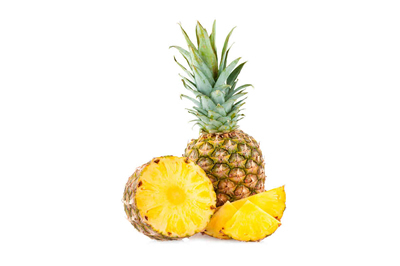 Pineapples are extremely intense, distinctive smell, are eaten raw or processed primarily compotes. 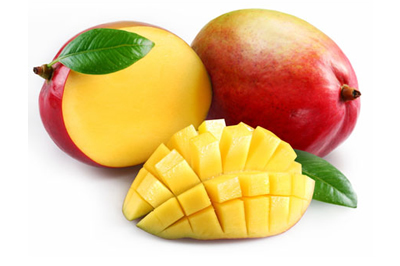 Mangoes are the fruit of the tree Mangifera indica grown in tropical countries. Fruits are ovoid, a length of 20 cm and a weight of 1 kg, with a sweet taste. In the middle of the fruit is a large, flat piece of cake. The flesh is very juicy, flavor reminiscent of peach and pineapple. Mango is eaten raw and processed. Grenades are the fruit of a shrub or tree Punica granutum grown in Mediterranean countries. 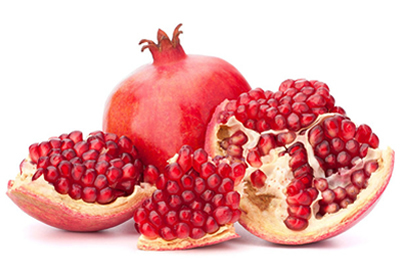 The fruits are the size of an apple with a purple, leather the cover, the seeds surrounded by juicy seeds surrounded by juicy, red flesh. Kiwi fruits are also called Chinese gooseberries. They are elongated berries length up to 6 cm, more or less hairy. 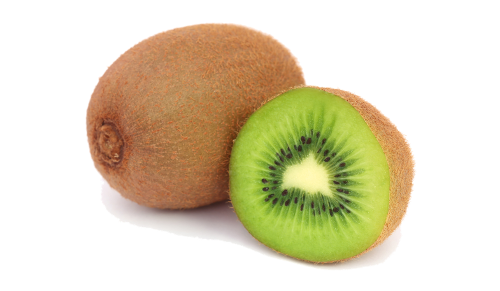 Kiwi contains up to 10% sugar, 1400 mg / 1000 g of vitamin C. It is mostly grown in New Zealand and the USA. 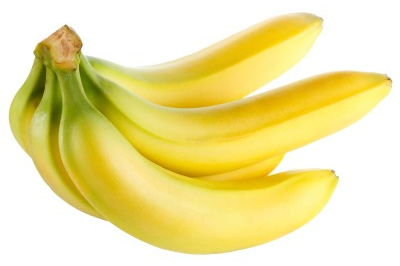 Fruit bananas have a length of 15-30 cm and are covered with yellow, easily separating the peel. It contains about 22% sugar. It exports to the green state, and then aged in ripening. Bananas, due to their flavor and nutritional value are also used in the manufacture of infant formula.